Vanguard index mutual funds are very popular among investors. It offers low cost option for investment purposes. One of the top Vanguard index mutual funds are Vanguard Small Cap Index fund. More review can be found below. The Vanguard Small Cap Index fund objective is to track the performance of the MSCI US Small Cap 1750 Index that measures the investment return of small-capitalization stocks. The fund utilizes its asset to purchase a broadly diversified index of stocks of smaller U.S. companies. In global economy, investors need to invest with global perspective as well. For fixed income, investing in US bond only may not be enough. Investing in global bond mutual funds is seen as better diversification. Some of the best world bond mutual funds are: Dreyfus International Bond, PIMCO Foreign Bond, Templeton Global Bond, etc. A world bond mutual fund or global bond mutual fund is a fixed income mutual fund which put its assets in foreign debt markets. Typically, its asset consists of >40% of foreign bonds. Some of the countries include United States, Canada, United Kingdom, German, France, Brazil, China, Japan, etc. It may include either government bond or corporate bond. Investing in world bond funds is one of the best ways to balance losses incurred from US markets. With fluctuation in interest rate from country to country, investor can avoid high volatility of bond market from single country. This international bond mutual fund has showed little correlation with domestic equities and only moderate correlation with investment grade domestic debt. This fund also helps in diversifying currency exposure and protecting assets against a long-term secular decline in the U.S. dollar currency. Choosing mutual funds offer a safe route to invest in the international bond market hence they have widely diversified holdings. Investing European market is essential for investor portfolio diversification. Using Europe stock mutual funds, investors can achieve their investment goal over the long run. Some of the best Europe stock mutual funds are: Henderson European Focus A, Eastern European Equity A, Royce European Smaller Companies Service, etc. European Union has 27 member states and 23 official languages. This union represents about 20% of global GDP. Major European markets include Germany, United Kingdom, France, Italy, Spain, Netherland, Switzerland, etc. The Eurozone also has an official currency which is known as Euro. This Euro currency is used by 17 of the 27 member states of European Union. For investment, investors can choose either investing in individual country bond or stocks from this European region. Using mutual funds, you can expect to achieve instant diversification and reduce your investment risk. You can invest in either Europe bond mutual funds or Europe stock mutual funds. This article will focus on European equity mutual funds. Diversified international stock mutual funds should be part of every investor portfolio. Based on historical data, international stock fund can provide asset diversification and higher return for investors. 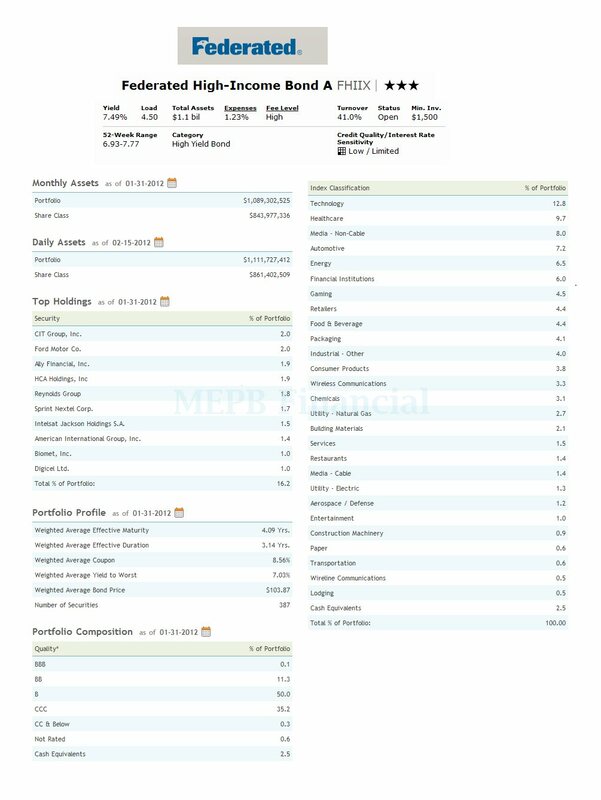 One of the top international stock funds is Hancock Horizon Diversified International mutual fund. You can find the review below. The Hancock Horizon Diversified International mutual fund objective is to provide long-term capital appreciation. This equity mutual fund utilizes its assets to buy equity securities of foreign companies. It may also purchase ADRs, EDRs and GDRs. This HHDAX fund may invest in other investment companies including mutual funds, close-end funds and ETFs. For conservative investors, convertible securities mutual funds can provide an attractive investment choice. These mutual funds provide income and opportunity for capital appreciation. Some of the best convertible bond mutual funds are: Allianz AGIC Convertible A, Vanguard Convertible Securities Inv, Invesco Convertible Securities A, etc. Investing in convertible securities can be very attractive due to its hybrids in nature. Generally, these convertible bonds are interest-paying bonds (but sometimes preferred stock) that can be swapped for shares of the issuing company's stock at a predated price. The bond-like yield aspect of a convertible protects against stock declines, while the ability to convert into stock offers shelter against falling bond prices. Investor can start investing in these convertible securities through mutual funds, etf, cef, individual convertible. Convertible mutual funds have a long term track record and can be used as diversification tools for investors. Convertible securities tend to have credit ratings that are below investment-grade. Investing in emerging markets bond mutual funds has been attractive for investors. This article will look into the best emerging markets bond mutual funds. The best emerging markets debt mutual funds include: TCW Emerging Markets Income N, PIMCO Emerging Local Bond A, Fidelity New Markets Income, and more. Based on past 10 years historical data, investment in debt of developing countries has managed to provide high annualized returns of 12%. This EM bond is also less volatile than the U.S. stock. Considering other mutual funds category, this emerging markets bond funds also can be fairly inexpensive to own. Investing in debt of emerging markets countries means investor will invest in government bonds from such places as Russia, China, India, Turkey, Indonesia and Mexico. As part of investment diversification, emerging markets debt mutual funds have had a great run over the past decade, as many developing nations have improved their fiscal situations and instituted the rule of law in economic matters. Some of these mutual funds also invest in corporate bond located in these emerging markets countries. Global economy is always linked through various commodities. This article will look into best commodities broad basket mutual funds. The funds include PIMCO Commodity Real Return Strategy A, DWS Enhanced Commodity Strategy A, Goldman Sachs Commodity Strategy A, and more. Investing in commodities has received a lot of attention from investor and media (newspaper, internet, and TV). The price of gold, silver, oil, diamond, corn, soy, sugar, cotton, livestock, coffee, cocoa, and hogs are in the news every day. To invest in the commodities markets, it may take a very sophisticated endeavor. One of the easiest ways is using commodity mutual funds. These commodity mutual funds provide an opportunity for almost any investor to get a piece of the action. There are several types of commodity mutual funds such as: true commodity funds, commodities funds that hold futures, natural resource funds, and combination funds. Other ways to invest in commodity is using exchange traded funds (ETFs), and exchange traded notes (ETNs). Most of these commodities broad basket mutual funds are also rated among the best mutual funds by various financial websites such as Morningstar, US News, Smart Money, etc. Please check details about its sales load, initial investment requirement, performance, risk, top holdings, turnover rate, yield, expense ratio, etc. To reach a full asset diversification, investors need to invest in bond or fixed income sector. Diversified bond mutual fund can provide less risk and low cost option for investment. One of the best diversified bond mutual funds is Federated Bond fund. The Federated Bond mutual fund objective is to provide as high a level of current income with consistent capital preservation. This bond mutual fund invests mainly in a diversified portfolio of investment-grade fixed-income securities. It may invest minority of its assets (<35%) in junk bonds or high yield bonds. This fixed income mutual fund may also invest in government securities. Investing in international stock mutual funds is essential. From this article, investors may find some of the best international large cap stock mutual funds of 2012 such as: Calamos International Growth A, Sextant International, Turner International Growth Investor, Harding Loevner International Equity, etc. For the past decade, global economy has been the focus for many investors. Investing in this globalization is important for investor portfolio. There are several ways to participate in global growth: investing in international stock mutual funds, buying some foreign individual stocks, purchasing foreign bond (government or corporate bond), etc. Some of the international equity markets, especially those of the emerging market economies are providing great opportunities for investors to diversify their investment portfolio. By employing good management and international diversification, retail investors and institutional investors can achieve their investment objective. There are several reasons why international mutual funds provide a great opportunity to cash in on the rapid growth in the global equity space such as: higher growth due to young population, higher consumption in future because of higher income, improving infrastructure and transportation, etc. I’ll focus especially the foreign large cap stock mutual funds for this article. You can also find my previous article about Top Emerging Market Stocks Mutual Funds of 2012. Note: From historical data, international stock mutual funds are more volatile than US stock mutual funds. Investing in international stocks is essential for investors who want to achieve portfolio diversification and higher return. Using international stock mutual funds, investor can achieve their goal faster than individual stock picking. 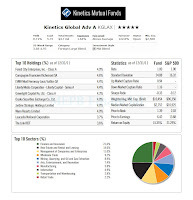 One of the top rated international stock funds is Kinetics Global fund. 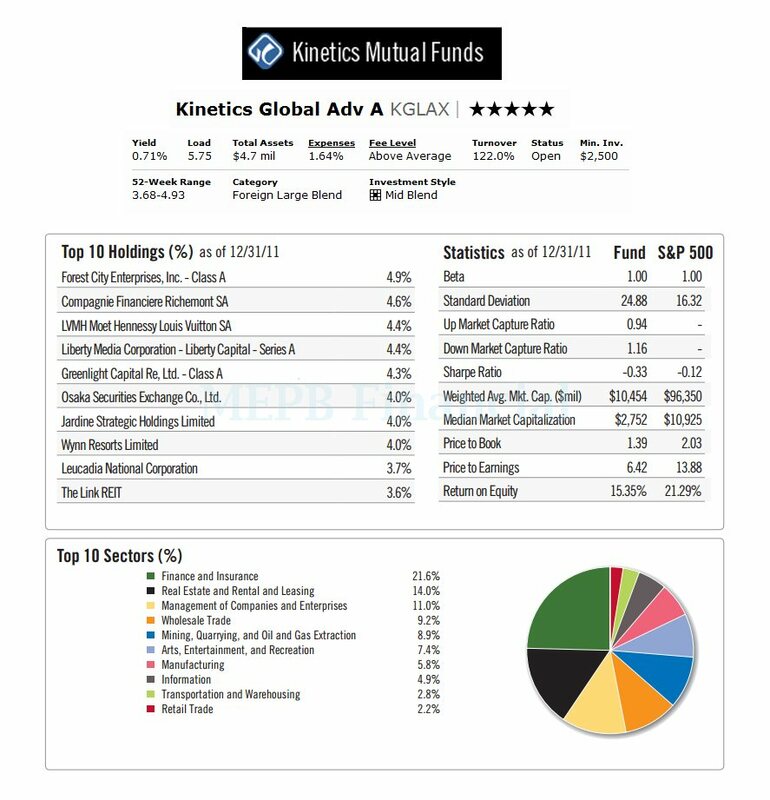 The Kinetics Global No Load fund’s objective is to provide long-term capital growth. This foreign large blend stock fund invests >65% of assets in common stocks, convertible securities, warrants and other securities of foreign and U.S. companies around the world. It invests >40% of its net assets in companies located outside of the U.S. The fund may invest up to 20% of total assets in convertible and high yield bond. Many economists and stock analysts have predicted the rise of emerging markets countries to support the world economy. Finding the right stock in this sector will be difficult; using mutual fund may be the better way to diversify your assets. 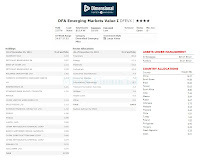 One of best emerging markets stock funds is DFA Emerging Markets Value I fund. 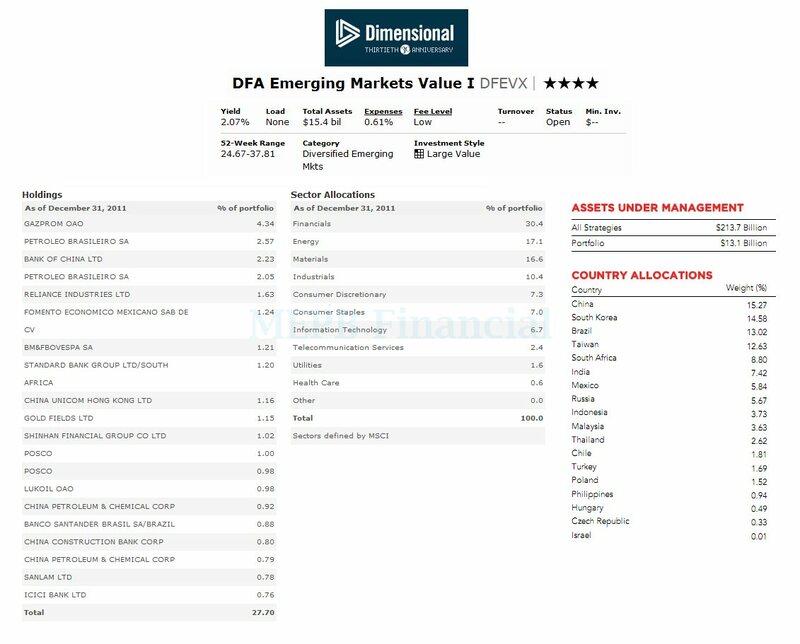 The investment objective of this DFA Emerging Markets Value fund is to seek long-term capital appreciation. This equity fund invests most of its assets in emerging market equity securities that are deemed by the Advisor to be value stocks. It may also invests in frontier markets (emerging market countries in an earlier stage of development) and other markets approved by management. Investors should invest in emerging markets sector especially investing in mutual fund. There are emerging markets stock and bond. The best emerging markets stock mutual funds include Oppenheimer Developing Markets A, Virtus Emerging Markets Opportunities A, etc. Although investing in mutual fund is common, you can also choose other investment vehicles such as individual stock or bonds, exchange traded funds (ETFs), and Closed End Funds (CEFs). Emerging markets countries are Brazil, India, China, Russia, South Africa, Indonesia, etc. As noted early, this article will focus on the best emerging markets stock mutual funds. According to many top fund managers, the developing countries or emerging market countries offer the best growth prospects among major stock categories over many years. For the past 3 years (2009 - 2011), the emerging market stock mutual funds have a strong performance so far. Investor shouldn't expect further gains over the next year or so. Having a diversified portfolio may help investor to reduce risk and achieve better return. One of the popular asset classes is high yield bond mutual fund. Federated High-Income Bond is part of this high yield bond fund. This fund provides high income for investors. The Federated High Income Bond fund seeks to provide high current income. This bond mutual fund invests mainly in a diversified portfolio of high-yield corporate bonds or junk bonds, including debt securities issued by U.S. or foreign businesses. It may also invest in emerging market bonds, and derivative contracts. Investing in balanced mutual fund is one of the easiest for investor to achieve instant portfolio diversification. This balanced fund invests in variety of assets such as equities or stocks, fixed income or bonds, preferred, convertible, and money markets or cash. One of the top moderate allocation balanced funds is Invesco Van Kampen Equity and Income fund. More review can be found below. The investment objective of Invesco Van Kampen Equity and Income fund is to achieve the highest possible income. The second objective is to provide long-term capital growth. The fund invests mostly in income-producing equity instruments and investment-grade quality debt securities. The income producing equity may include common stocks, preferred stocks, and convertible. This moderate allocation fund may invest <25% of total assets in securities of foreign issuers and may invest <15% of total assets in real estate investment trusts (REITs). Investing in high dividend mutual funds can be very rewarding. These mutual funds, also known as equity income mutual funds, provide regular income for investor and they are less volatile than other funds such as growth mutual funds. 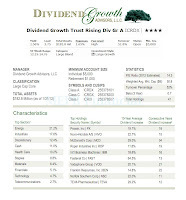 One of the best high dividend mutual funds is Dividend Growth Trust Rising Div Gr fund. 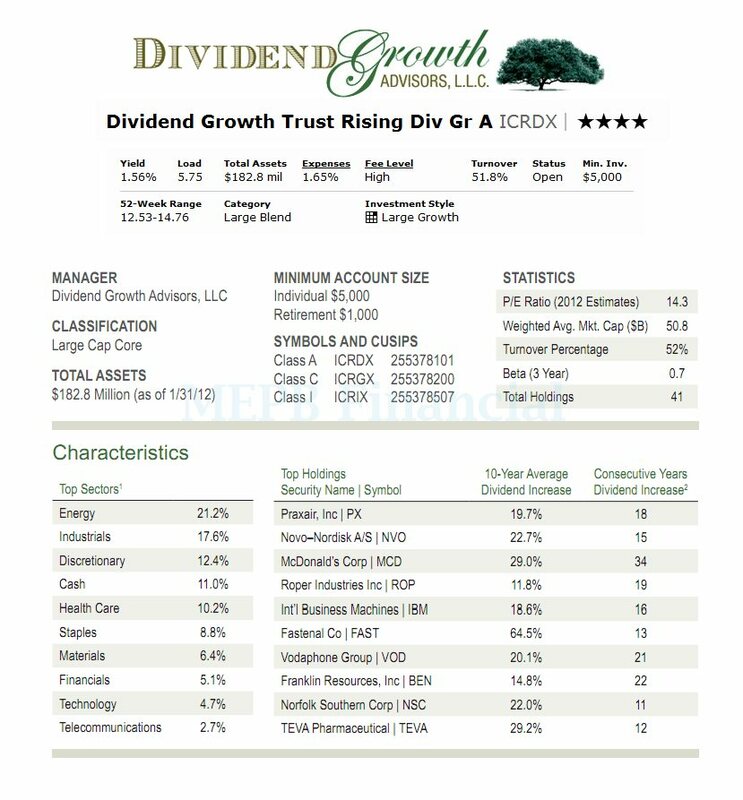 The Dividend Growth Trust Rising Dividend Growth fund seeks long-term capital growth and current income. The US stock mutual fund utilizes most of its assets (>80%) to buy equity securities of dividend-paying domestic and foreign companies with market capitalization >$500 million. The companies have increased their dividend payments to stockholders for each of the past 10 years or more. This equity fund will focus its investments in a group of 25-50 companies. It may invest in MLPs, REIT, and other dividend paying entities. This equity mutual fund is non-diversified. Selecting diversified bond mutual funds are essential for investors. Diversified bond mutual funds provide regular income and reduce risks associated with stock and bond market. Some of the best diversified bond mutual funds are: Scout Core Plus Bond fund, AllianceBernstein High Income fund, PIMCO Investment Grade Corporate Bond fund, etc. Having a diversified bond mutual fund in your investment portfolio is critical during any economic period. During the uncertainty time, bond fund may provide regular income (in term of yield) and less volatility. The bond mutual fund may also provide investors with a convenient option to hold a portfolio of bonds from different sectors such as government bond, corporate bond, mortgage backed bond, foreign entities bond, convertible, etc. Using a bond mutual fund, investor may also reduce the investment costs compare to create a portfolio of individual bonds. The investment risks of mutual fund investment are also lower than single bond investment. Most of these diversified bond mutual funds are also rated among the best mutual fund by various financial website such as Money, Morningstar, US News, etc. Please check details about its expense ratio, sales load, initial investment requirement, performance, risk, top holdings, turnover rate, etc.